Well if that is indeed the case, the very best ‘artist’ of them all, the Norwegian world chess champion Magnus Carlsen, will be coming to Denmark in May to showcase his mesmerising skills on the checkered board. 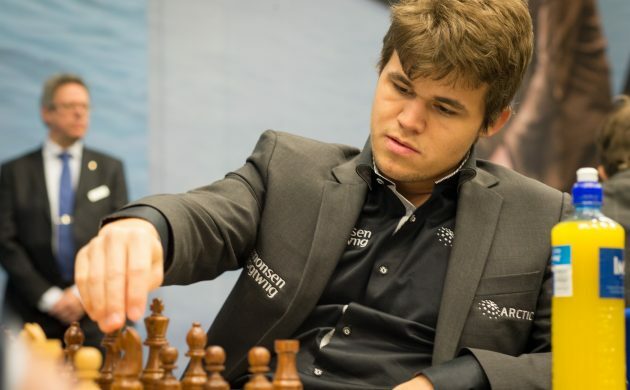 The 22-year-old phenom will participate in the 2019 Energi Danmark Champions Battle at the Circus Building in Copenhagen on May 22, where he will take on Denmark’s forthcoming chess champion and be interviewed by renowned brain researcher Peter Lund Madsen. “We’ve been trying to set up this event for four years now and it’s fantastic that we’ve finally come through. Even before the release, we’ve experienced massive sponsorship interest,” said Mads H Frederiksen, the CEO of f.reklame Sports Management. Since bursting onto the global chess scene with a draw against Russian legend Garry Kasparov at the age of just 13 (see video below), Carlsen has gone on to enjoy a formidable career – setting countless records and winning the world championship an unprecedented ten times. Last year, a record 3 million-plus Norwegians tuned in to watch him retain his world championship against American challenger Fabiano Caruana. Tickets for the event start at 495 kroner and are on sale at Ticketmaster now.